Overview]: A clan of people living mainly within Konoha that has learned to use and developed a way to manipulate their shadows for battle. A clan with people who's characteristics usually match that of their shadows. They are usually very moody, dark bunch of people, and often at times, extremely lazy, however don't let such information fool you. When they work hard and concentrate they are deadly, like most normal shinobi. The Nara clan, well, some members are born with genius intelligence. Being master tacticians and planners in tough situations, and being excellent analysts. 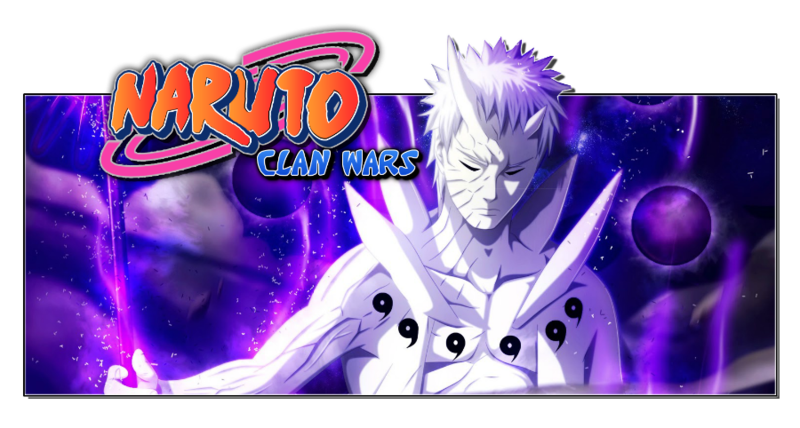 It has been rumored that Nara clan members have defeated opponents in battle with nothing more then their minds. Some Nara members have even been so cunning that they have literally talked people into killing themselves. This, is however not true of all clan members, some members having just as difficult learning problems as a normal person, it simply varies to each shinobi. The clan, specifically has the ability to manipulate their shadows to capture their opponents and trap them. They have also been rumored to have technique that follow that in the use to choke people and even further uses. The clan does not really discriminate, yet each and every member is different. They have no marriage restrictions, seeing as bloodline does not matter to them, so long as their teachings are passed down. It has however been said, that males of the Nara aren't exactly fans of the way women act. Not meaning that they don;t like them, they would just rather hang out with a friend and play chess then listen to the bickering of a women. History: The History of the Nara clan starts a long time ago in a tale of young boy, who lived in a small village, shadowed by a mountain. This boy had a family and grew up in a village with that family for the most part of his life like most normal people would. His village however, was constantly shadowed with war and violence of the neighboring great nations of the world. War was never far from his doorstep, but the village was confident that they would never see such war because of their god, the shadow dragon who they prayed to every night to protect them. The dragon lived high in the mountains that over shadowed the entire village. They were terribly wrong. On a cold summer night, the village was taken over and pillaged by a group of shinobi. They raided the village for supplies and the like. Praying to their god for help of some kind, the boy spoken of earlier, took it a step farther. He traveled secretly up to the top of the mountain by himself, in search of the legendary dragon. He searched for days, and days, until a week at least had passed by. He had finally found a cave. In this cave, the brave young boy ventured forth in search of the dragon, but found only a shadow. The shadow, was in the shape of a dragon. Pleading for his village, the Boy spoke forth to the shadow dragon in seek of power, power to save his village. The Dragon, out of either feeling guilty for ignoring the villagers prayers, or for pity, granted him one wish. His wish had already been pleaded to the dragon, and such it was granted. The dragon, was said to fuse with the shadow of the young boy, granting him the ability to save his village via through his shadow, and become a hero. Running down the mountain side as fast as his little feet could move him, the little boy sprinted forth until his village at the mountains bottom slowly came into sight. As he entered the village that was being pillaged constantly for their goods, the dragon raged forth from the shadow and began freeing the villagers and slaying the shinobi who began pillaging the village. The fight between the strongest of the shinobi and the dragon shadow was rumored to last for three whole days before it was decided that there was no true victor. The fight had lasted so long in fact, that the dragon became infused with the boys shadow permanently! His desire and pride to fight for the village and the boy had cause him to loose his tract on time and forgotten that he only had limited time. The Dragon slowly and slowly seeped into the boys shadow until they became one. All the knowledge of the dragon was granted to the boy, as well as the ability to control his shadow. However, without the knowledge to mold chakra, he was rendered helpless. Being helpless without the dragons help once more, the Shinobi who battled the young boys shadow offered as a token of peace to bring all of his people back to their village, and they would be taught how to mold chakra and spread the shadow dragons power. The villagers that had attacked the shadow boys home were from that of Malchandra. They brung him and his family and other relatives in his village that was pillaged back to Malchandra, and they were given a place to stay, a new home as an apology for what they had done, as well as teaching them how to use chakra. Through this, and lots of training, the young boy was able to grow and learn to further manipulate the shadow dragon and develop his own personal jutsu, the Kagemane. Through this technique, when it connects to someone else shadow, they are merged and their movements are linked and in sync with one another. The young boy has since perfected the art of the shadow dragon and passed his teachings on to all of his children and friends and family, and some family has extended and moved on past Malchandra, into other villages passing on their teachings of the Kagemane and the story of the shadow dragon. Special Info: Shadow Release: This is a unique fighting style employed by the Nara clan which revolves around the use of Shadow Materia in conjunction with chakra to alter the composition of their Shadow for techniques. Due to the Shadow Materia being gathered it results in the shadows becoming tangible physical objects thus altering the damage type of a Shadow technique using them to deal physical instead of chakra based damage while being capable of interacting or moving over other physical substances. The techniques still retain their element giving them an advantage against non-elemental physical techniques however are unable to overpower elemental physical techniques neutral to shadow release. This style is what earned the Nara clan the title Shadow Release users. Clan Special Characteristics:* This is the innate ability of the Nara clan members to learn and process information at a higher rate than normal individuals. This aspect to learning allows them to pick up information and techniques far easier than most allowing them to learn past the usual limits of their rank, as such it offers a 30% word decrease in learning new techniques. *Adds 30% of chakra stat to the power of shadow release techniques. The Shadow Imitation Technique is a signature technique of the Nara Clan which allows the user to manipulate their shadow. The user extends their shadow on any surface (even water) and as far as they want as long as there is a sufficient area. Once it comes into contact with a target's shadow, the two merge and the target is forced to imitate the user's movements. Therefore, the two can throw shuriken at each other at the same time if the user desires that (of course, to prevent hurting themselves, the user just has to have the shuriken holster in a place where you don't normally have it, like the back, so that the opponent draws nothing when the user draws a shuriken). If the target is out of range, the user can produce a better light source to increase their shadow's size or rely on pre-existing shadows for their shadow to freely travel through.It's also possible to split one's shadow, either to trap more opponents at once, or to create a distraction. Drawback: The major downside of the Shadow Imitation is that it is tiring to use repeatedly; Hidan notes that the ability is subject to some form of diminishing return and decreases in potency after repeated use (Shikamaru Nara can only maintain it for 5 minutes per use). If the user is low on chakra, the performance rate of the technique also deteriorates. Insufficient lighting will make the technique less effective. A particularly strong opponent can also resist the shadow's forced imitation. The technique also forces the user to move the same as the victim so if the victim was hit with enough blunt force to move them, the user has the movements forced on them. Can maintain shadow hold for 4 posts. After this, upkeep cost doubles. While the shadow hold decreases by 20%(power stat) per post. The range of the technique can be increase, based on other factors. This is down to other light sources which creates shadows. One can connect to other shadows etc. Must possess a strength level higher than the Jutsu's power to be able to properly resist it. Shadow Imitation Jutsu also acts as a guide for other techniques. A technique developed from the Nara clan's Hiden Shadow Imitation Technique with combat in mind. It is possible to inflict direct damage to the enemy by transforming and moving shadows endowed with physical power. It is possible to attack body parts like fingers and such by turning the shadow slender and to bind the opponent's body in order to restrain them. It was given its name because, above all else, strangulation is the most efficient method. The smaller the distance to the target, the greater the power of the shadow. This technique cannot be used for an extended period of time, as it weakens with each passing minute. Follows Shadow Imitation Guidelines. This is a ninjutsu using materialized shadows, but compared to the Shadow Sewing Technique from the same line, this technique places emphasis on the minute control of the shadow's movements. It is accurate enough to even make the tentacles go through tiny holes. Basically, this technique takes the user's own shadow and transforms and stretches it into countless thin tentacles, which are then used to grab objects and pull them in. Also, one can skilfully make use of the tentacle-shaped shadow tendrils by using them to lift up and throw weapons like kunai and such. This technique has many possible applications and uses. There are no hand seals used for this technique, but the hand movements resemble that of Gaara's Sand Binding Coffin. Follows Shadow Imitation Guidelines. After trapping the target with the Shadow Sewing Technique, the user can then manipulate the shadow to bring them closer to themselves. This technique can be used to draw multiple enemies into the range of Inoichi's Mind Disturbance Dance Performance Technique. The Shadow Imitation Shuriken Technique is a ninjutsu invented by Shikamaru Nara while teaching himself to use Asuma Sarutobi's chakra blades. By infusing the blades with his own chakra beforehand, they are given the effect of his shadow techniques. By using these weapons to pierce the enemies' shadows, they are paralysed in place. To pierce the shadow, it is necessary to avoid the target just barely — Shikamaru added fake explosive tags when he used them against Kakuzu and Hidan to help with that. Since it is more difficult for the enemy to notice it, this ninjutsu compensates for the weak point of the similar Shadow Imitation Technique, being its limited effective range. It is unknown for how long this jutsu can keep its targets paralysed, however it can be disrupted simply by the removal of the blade or by the disappearance of the opponent's shadow. Must have Chakra conductive weapon. The Shadow Imitation Shadow Bind Technique is one of the hijutsu utilised by members of the Nara clan.The Nara attaches their shadow to a "host's" own without restricting their movements, or forcing them to mimic their own movement. This allows the host to move freely all the while the Nara's shadow is still attached to their own. Through the shadow, the Nara is able to sense when their shadow comes into contact with then target, and they can then bind them with the Shadow Imitation Technique. This technique allows for the Nara to bind multiple targets on a battlefield all while not directly engaging in combat, adding an element of surprise to their companion's attacks. This technique is an advanced version of the Shadow Imitation Technique, where the user expands their shadow to cover a wide range, thereby reducing the chance of escape. Due to the technique's concept, multiple targets can be captured simultaneously. Type: Ninjutsu, Genjutsu, Taijutsu ect. Element: Fire Release, Water Release ect. 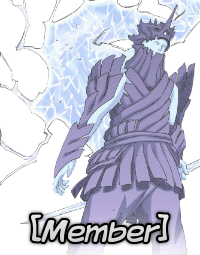 Range: Expend Jutsu Stats. 1 stat = 1 meter. 2 stats = 1 meter radius. Handseals: Almost all techniques require handseals!